An image from the episode "Victor Victrola." Chuck wants his dad to invest in the club. But his dad, initially, thinks it's just another excuse to party. Blair and Serena bond over the latter's plans with Dan. Will they go all the way? Our favorite virgin, Dan, is a bit intimidated by Serena. Guess it's hard to blame him. 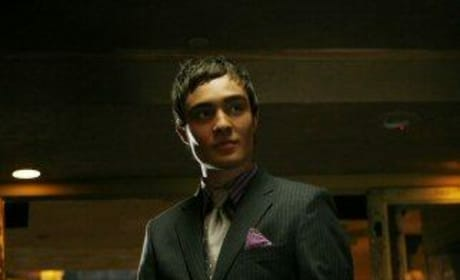 Chuck got everything he wanted: an investment with his dad and a boning of Blair. We started the episode with Blair and Chuck as friends. We ended it with them as a lot more than that. This hot make out session led to a lot more action between the sheets. Way to go, Dan!